The Sensa Giulia G2 custom carbon road bike is Sensa's cleverly engineered do-it-all road bike. A successor to the beloved Giulia, Sensa – exclusive to Merlin Cycles in the UK has managed to drop the weight, create more comfort and enhance the aerodynamics on this newest generation of Giulia. In a subtle graphite grey with black and red accents the stylish Giulia G2 is built for the sort of riding that we all do and with this custom edition Sensa allows you to choose your preferred Shimano groupset before building a Giulia specifically for you. The Sensa Giulia G2 is stiff and responsive where it needs to be allowing you to sprint effectively. It descends brilliantly, being stable and confidence inspiring at speed and has been engineered to be as light and spritely as possible on the climbs. It isn’t all about stiffness and speed though, Sensa recognise the need for staying comfortable on those longer rides and have cleverly engineered some compliance into the seatstays to help isolate you from the unpredictable road surfaces. The Sensa Giulia G2 carbon frame features Generation 5 Carbon – Sensa’s own race proven mix of carbon-fibre, optimised tubing dimensions that are specific to each frame size, enhanced clearance to allow you to fit slightly wider tyres and an AirFlow Fork with a 1.5” crown linking smoothly into the downtube. This is a great bike for the money. I`ve only done about 80miles on it so far however it feels both taut on almost all surfaces as well as comfortable. The geometry suits me well and I`ve been able to set the bike up how I like it. 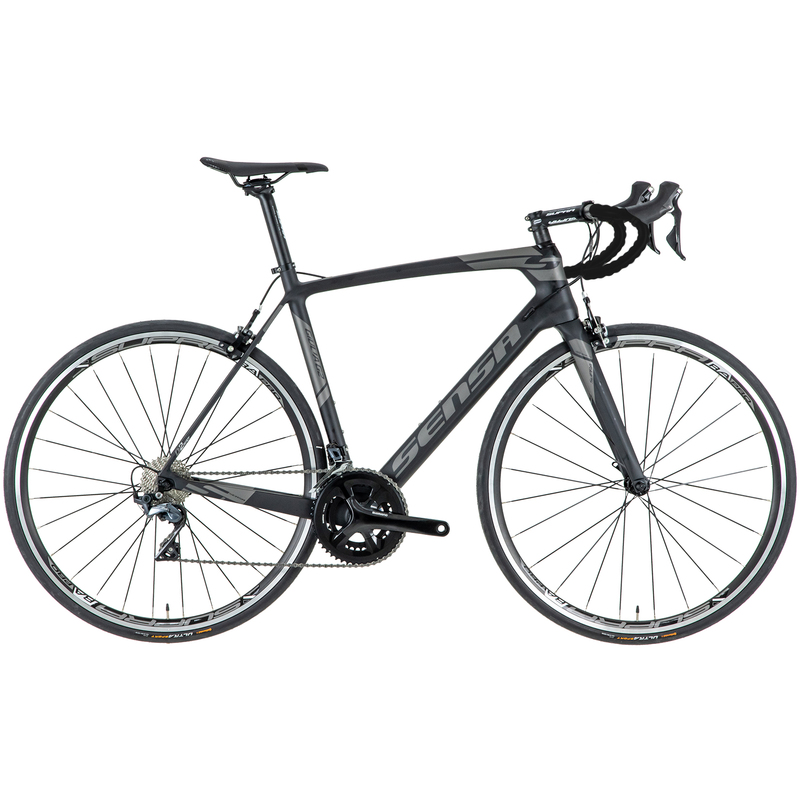 Feels light and fast and is prepped to take electronic gears should I wish to upgrade in future. Somewhat surprised it didn`t come with even basic assembly instructions; and that I had to spend time refining both derailleur setups. Overall very satisfied - would recommend.